New York, NY – (Global Newswire, November 3, 2014) – New York based securities and corporate law firm Sichenzia Ross Friedman Ference LLP announced that it represented the U.S. subsidiary of MV Agusta, an Italian motorcycle manufacturer, on the negotiation of a cooperation agreement for a long-term partnership with sports-car and performance brand Mercedes-AMG of the Daimler AG. Pursuant to the partnership, which is subject to approval of the relevant European authorities, Mercedes-AMG will acquire a 25% interest in MV Agusta and Mercedes-AMG will appoint one member of MV Agusta’s board of directors. As a 100% subsidiary of Daimler AG, Mercedes-AMG GmbH is the sports-car and performance brand of Mercedes-Benz Cars. Through the sales and marketing partnership with Mercedes-AMG, MV Agusta expects to accelerate company growth and to widen its customer base worldwide. 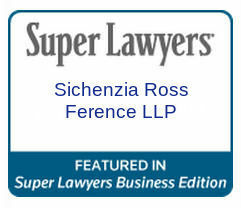 The Sichenzia Ross Friedman Ference LLP team was led by Associate Marc J. Adesso.